Signed by Tampa Bay as a free agent on October 2, 2018. Originally entered the NFL as a sixth-round pick (217th overall) of the Kansas City Chiefs in the 2015 NFL Draft. Played for Kansas City (2015-17) and spent time in the 2018 offseason with the Indianapolis Colts. Has played in 37 career regular season games, with 16 starts, registering 53 tackles (five for loss) and 1.5 sacks. Registered first career sack against Oakland (12/8/16). Made first career start at Carolina (11/13/16), recording four tackles (two for loss) and a sack. Made NFL debut at Minnesota (10/18/15). Played in three games and recorded two tackles. In Buccaneers debut, vs. Cleveland (10/21), played 22 snaps in a reserve role. Recorded one tackle in reserve role at Cincinnati (10/28). Inactive at Carolina (11/4) and vs. Washington (11/11).  Registered one tackle at New York Giants (11/18). Started 24-of-31 games at Southern Miss (2011-14), recording 105 tackles (22.0 for loss), 4.0 sacks, a forced fumble and a blocked field goal. Declared for the NFL draft following his redshirt junior season. Named first-team All-Conference USA following his redshirt junior year (2014), starting all 11 games, with 58 tackles and 3.0 sacks. Took a medical redshirt in 2013. Honorable mention All-Conference USA as a sophomore (2012), starting 11-of-12 games, with 37 tackles and one sack. Earned Conference USA All-freshman team honors in 2011. Attended Central High School (Phenix City, Alabama). His wife serves in the Air Force, while his father and three cousins served in the Army and an additional cousin serves in the Navy. A native of Dangriga, Belize.